This past week, my sixth grade students wrapped up their unit on earth science. 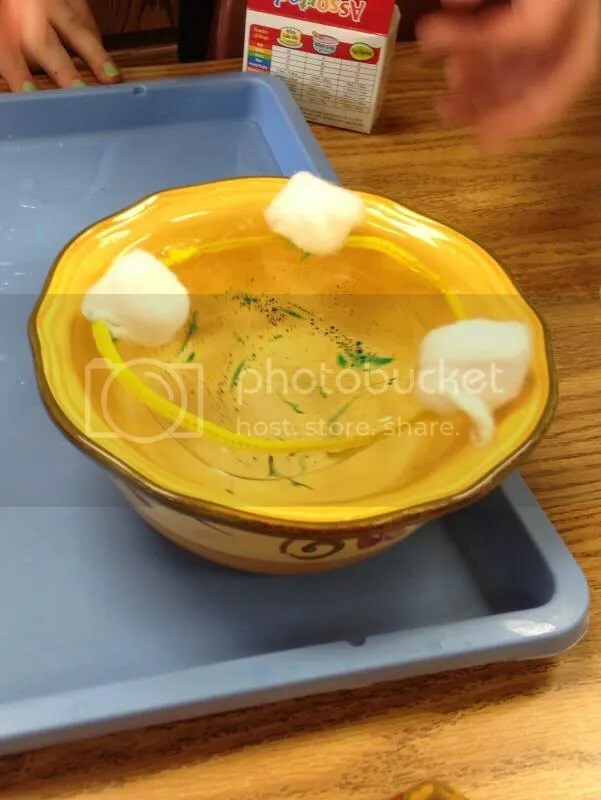 Over the last few weeks, we have covered topics like the layers of the earth, plate tectonics, rocks, minerals, the rock cycle, weathering, and erosion. To sum it all up, I asked students to create a story about a rock, tying together these different topics. A few students emphasized the story part (missing the science), while a few got the science down pat but missed the mark on the storyline. One group, however, did an EXCELLENT job with not just their story and science but also their animation! These students used an iPad app to animate their Story of A Rock. 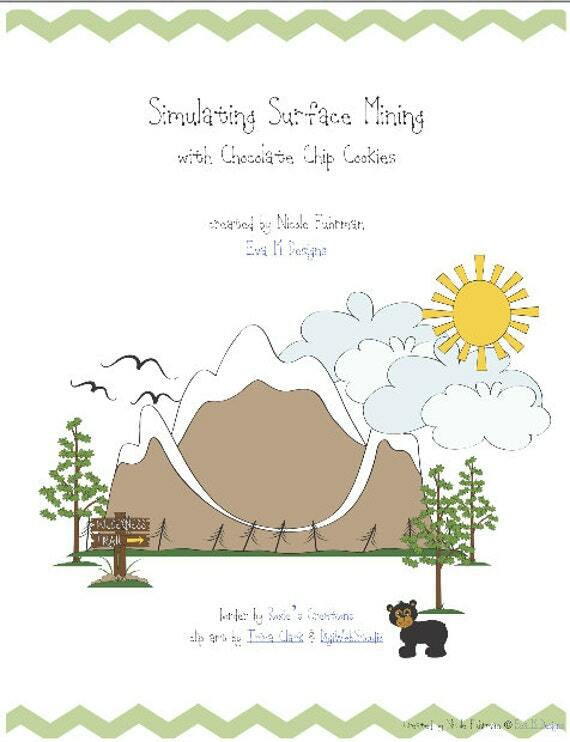 PS – For more information about the Story of A Rock assessment, check out the listings at my Etsy and TeachersPayTeachers stores. You can buy the instructions and rubric for only $1.50! First, my students learned about oil by exploring the EIA Energy Kid website. We also watched a short video on the Exxon Valdez oil spill in Alaska 1989, and read about the 2010 Deepwater Horizon explosion and oil spill. 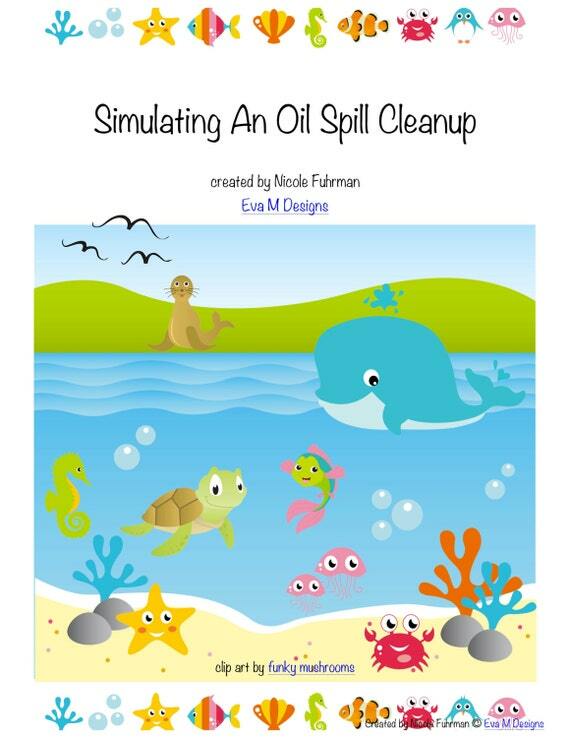 Finally, students created a chart to list the different tools and strategies that are used in the real world to clean up oil spills. Working from this list, students created their own devices that fulfilled these different purposes. 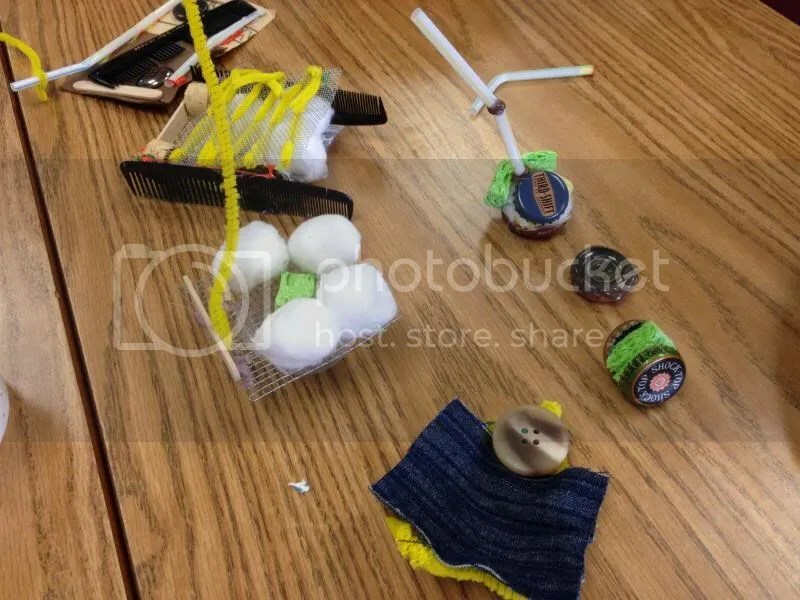 I provided students with a number of supplies, from cotton balls and string to corks and craft sticks. 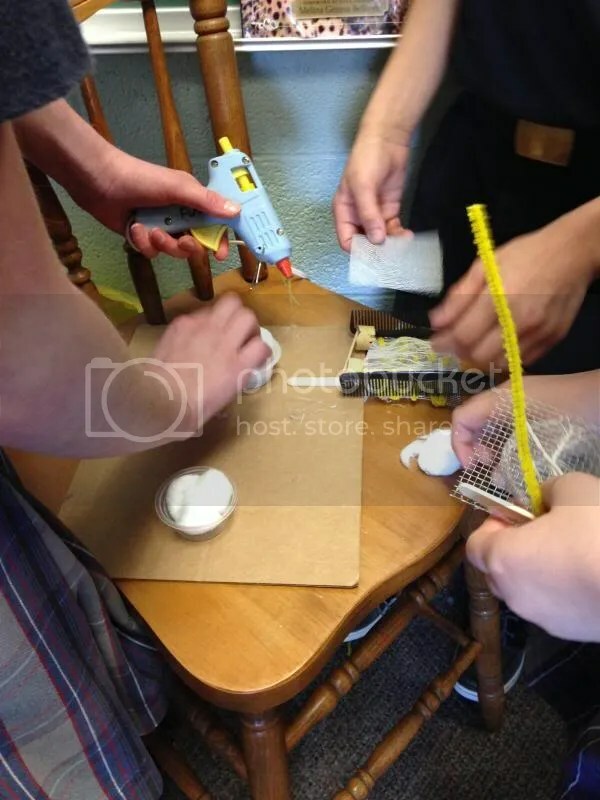 They then worked in small groups to develop booms and skimmers, and to identify what materials they would use for sorbents and sinking agents. 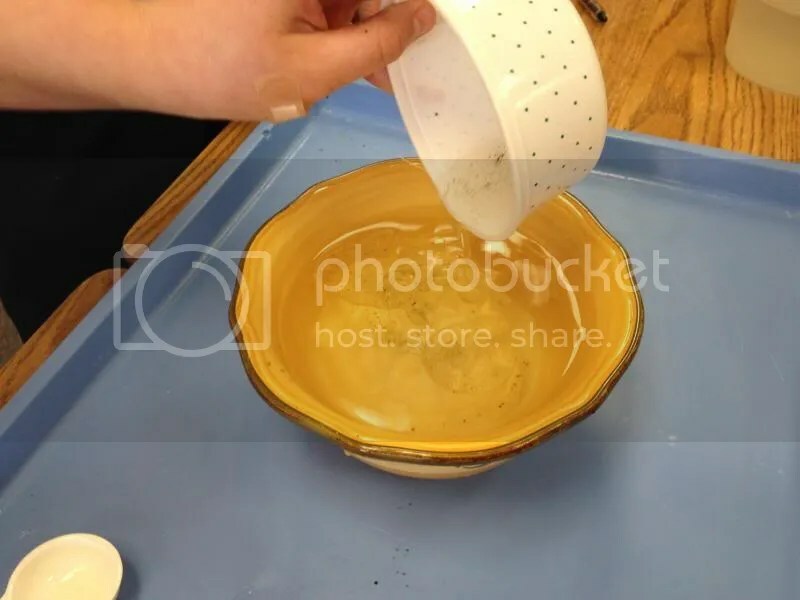 After this engineering activity, students created an oil spill to test their strategy. One student acted as the group’s recorder, documenting the evaluation of each device and the group’s observations. This activity was definitely a success. 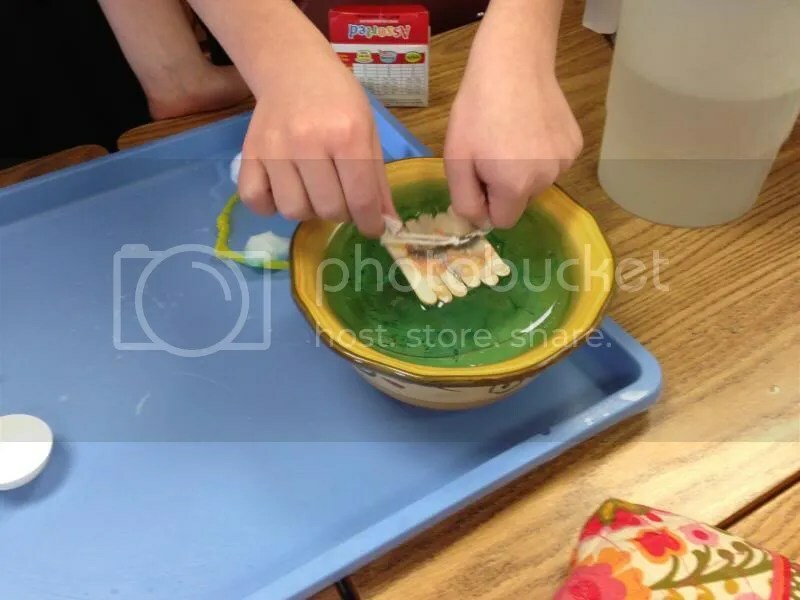 I was able to incorporate engineering activities into the unit, and students were able to see the challenges of removing oil from the environment. While climate change has been a hot topic in terms of fossil fuel use, it’s important to remember these energy sources can affect our environment in other ways as well. Finally, this activity will help my students during the upcoming unit assessment, which will ask students to represent various stakeholders in a discussion over a town’s energy decisions. Stay tuned to hear more about that activity! My 5th graders are working through a unit on natural resources, particularly our energy sources. Having learned about the layers of the earth, the rock cycle, and fossils, we are looking at fossil fuels. While they have built some background knowledge through books and online web sources (I love Energy Kids! 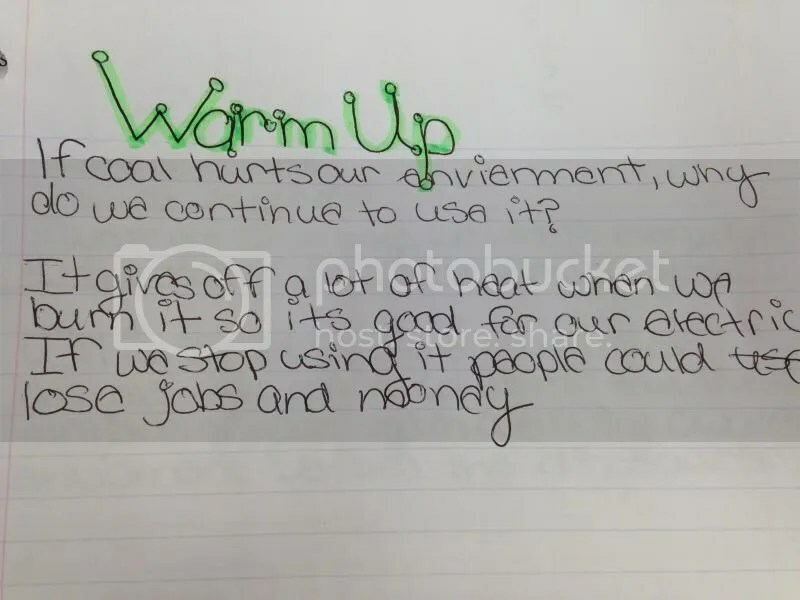 ), I wanted to incorporate hands-on activities for each type of fossil fuel. Since the first fossil fuel we are learning about is coal, I decided to use an activity I first learned about while working at Asbury Woods Nature Center. If you do an online search, there are many free resources outlining this activity. 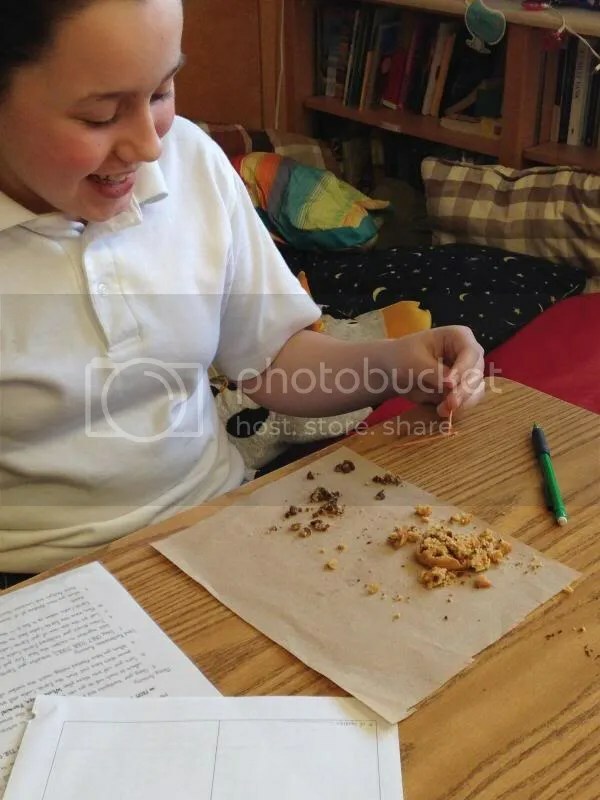 The gist of it is that students receive a chocolate chip cookie and must “mine” the “coal chips” with a toothpick or paperclip. 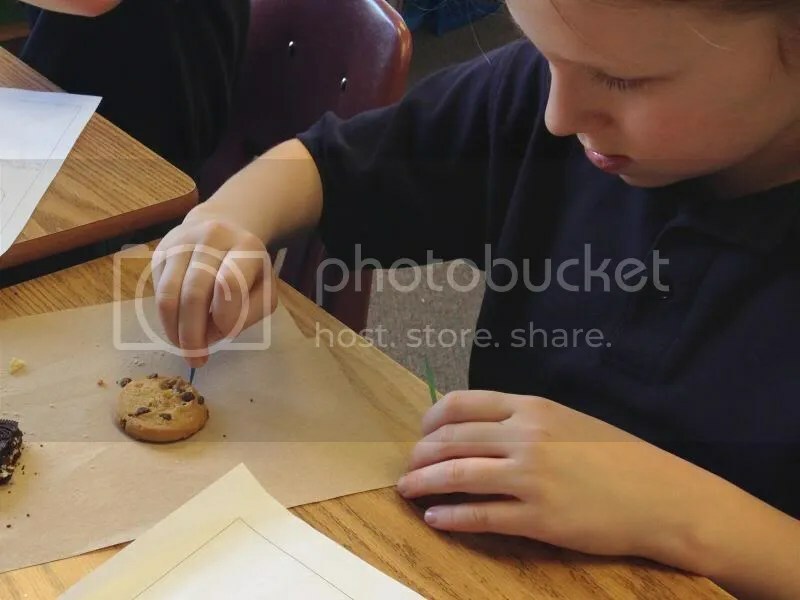 They get to see how the cookie, which represents the Earth, is changed by mining – a visual representation of the damage done by surface or strip mining. To gear my kids up for this project, I started the unit by showing a video: 300 Years of Fossil Fuels in 300 Seconds, available at YouTube. This video is VERY information heavy, so I made sure to explain to students I don’t expect them to learn or remember everything. I asked them to listen for information about fossil fuels, specifically coal, and identify ONE thing they didn’t know (and now do). I will admit that I like to push my students – I don’t expect them to master every task I give them, but I always want them to TRY. And I am blessed to have students willing and motivated to do so! After we watched the video, I discussed with them how the Industrial Revolution changed our source of energy from “muscle power” to “machine power,” which derives its energy primarily from fossil fuels. We discussed how nearly everything we use and do each day is in some way created from fossil fuel power, and we brainstormed what might happen if suddenly we didn’t have that source of energy anymore. 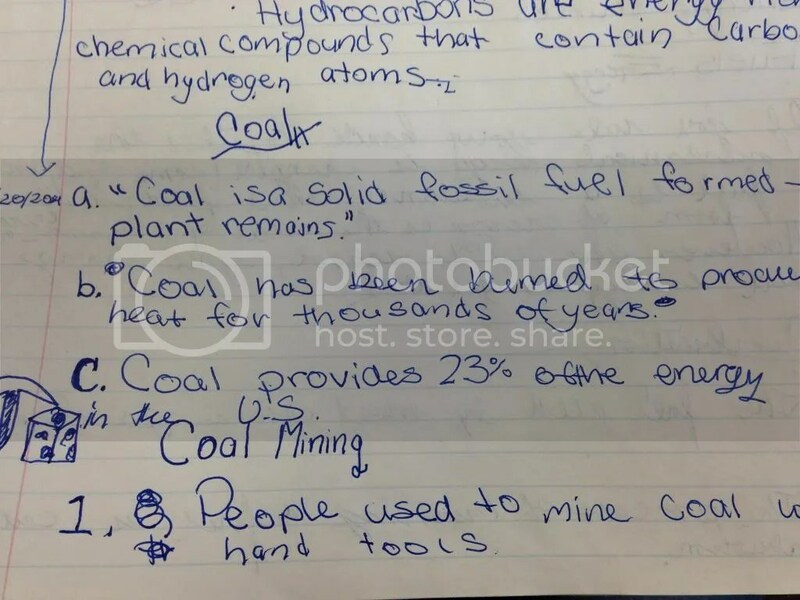 Then, students read about the mining and transportation of coal in more detail from the Energy Kids website. Then, our activity started! 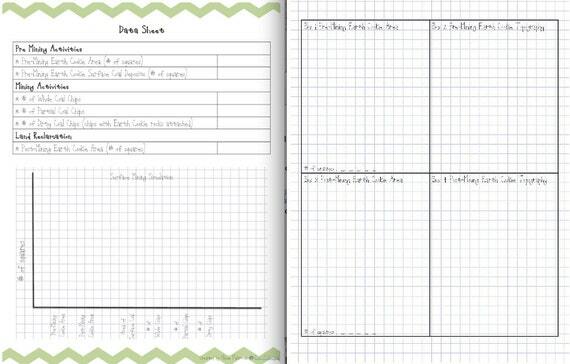 Briefly, students were given a set of instructions (class set), the supplies to mine their cookies, the graph paper worksheet, data analysis worksheet, and conclusions worksheet. As a part of their data analysis, I provided the skeleton of the chart I asked them to create, as this is a skill that is relatively new to my middle school students. It was a great way to incorporate math into the activity without taking up a ton of time! 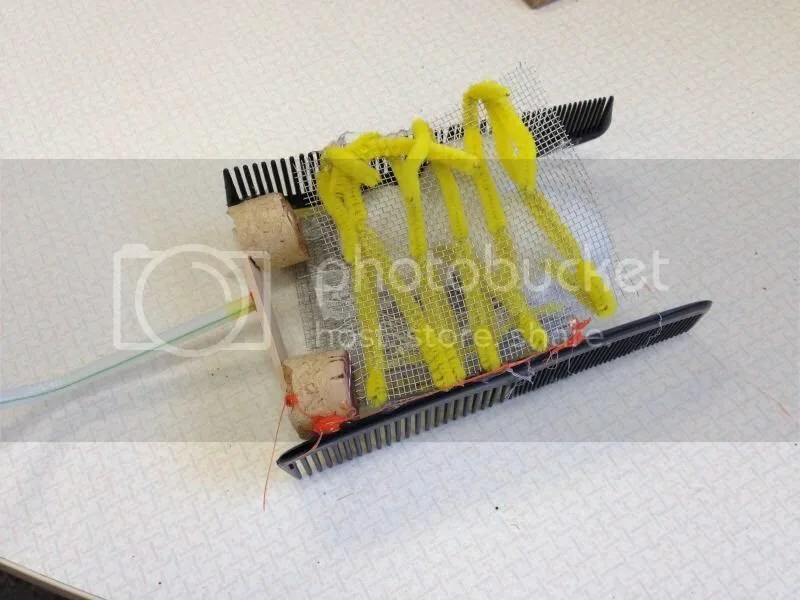 Like I said above, you can find many free resources that explain this activity. They can provide you with the instructions and maybe some follow up questions. That said, the instruction sheets and student worksheets that I created are available for purchase at my Etsy shop, as well as TeachersPayTeachers. I love resources that look professional AND fun, even if my students and I are the only ones to see them! If you are the same way, please check out my creations! You can also see a preview of these documents below. I was able to utilize Roxie’s Creations, Trina Clark, and DigiWebStudio to make it all look absolutely wonderful as well! 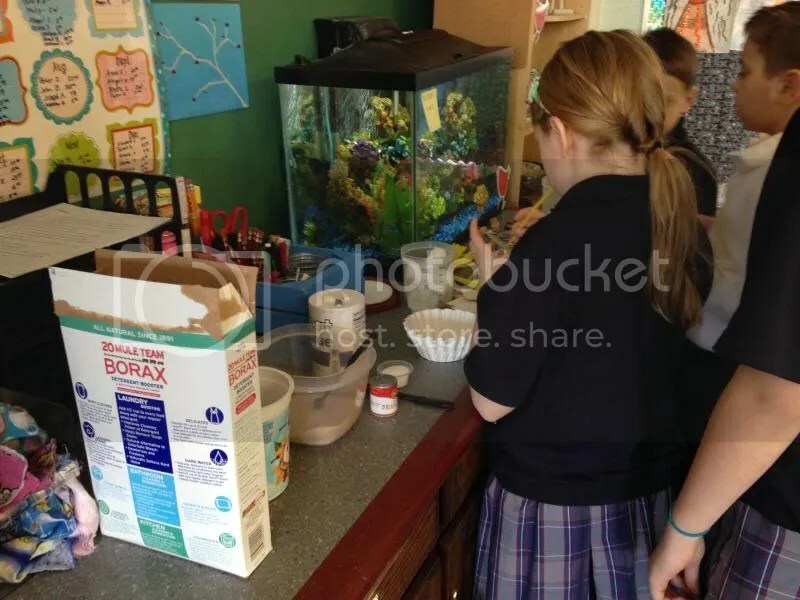 My students LOVED the activity – let’s be honest, anything that involves food is a hit! They also learned a lot though. 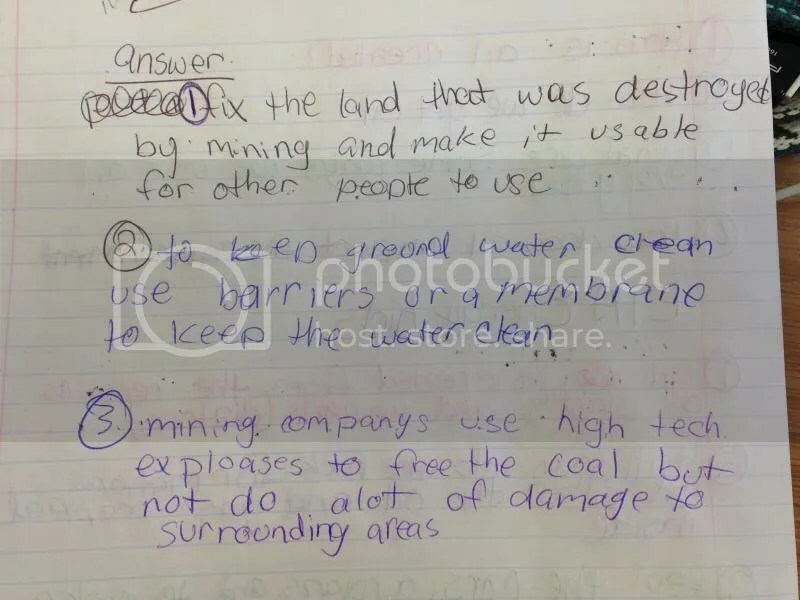 Not only were they able to see the effects of mining on the environment as a problem, but they could also identify its consequences and brainstorm ways to reduce that impact. Not too bad for a 5th grader! What are three ways we can minimize the impact of coal mining and use on the environment? My students have just started an Earth Science unit, looking at the questions: What factors shaped our land? and How has Earth changed over time? 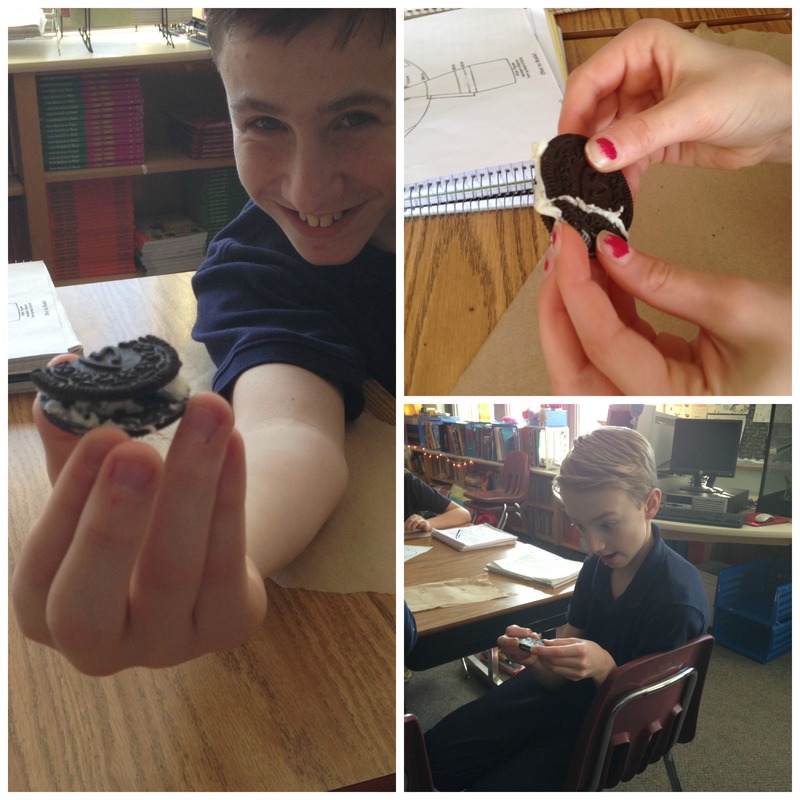 I got lucky that as I was planning this unit, I received the NSTA’s Science Scope December issue, which had a great article about using Oreo cookies to teach plate tectonics. I have attached the three day lesson I created that centers around that activity. In addition to the actual Oreos, I also utilized the Sciencesaurus book (green version) and another text, Science Explorer: Inside Earth.